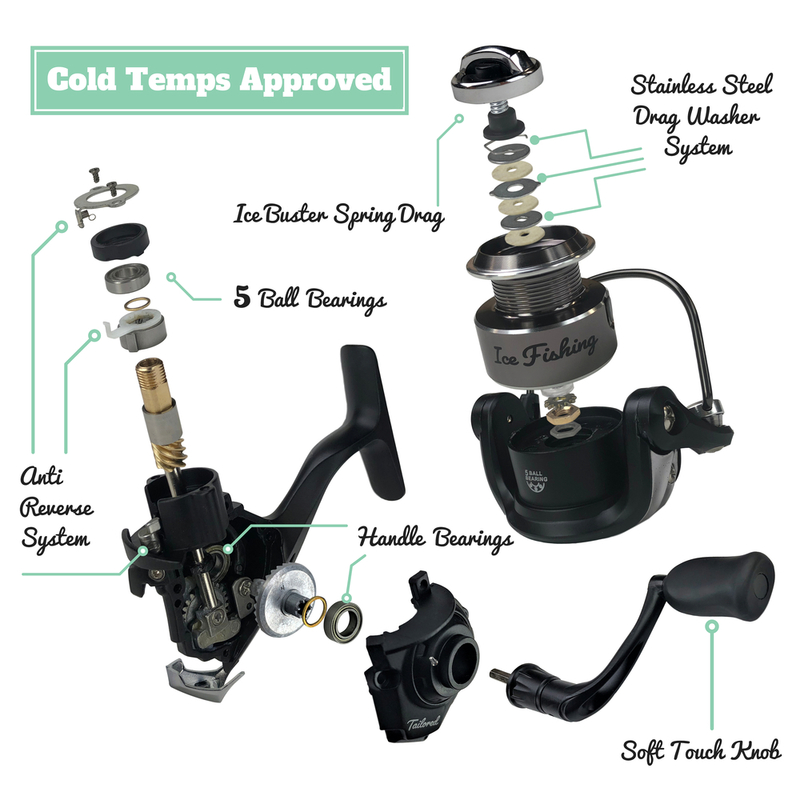 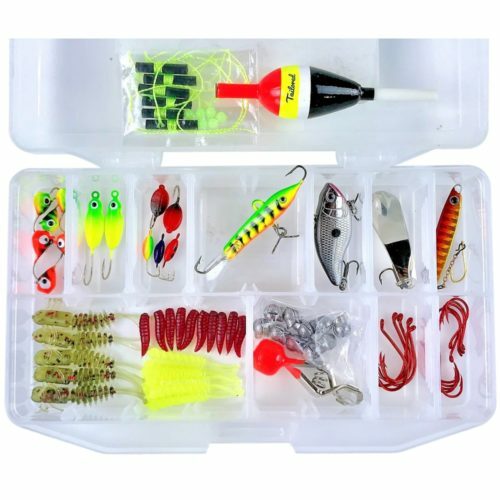 Categories: Ice Fishing, Rod Reel Combo. 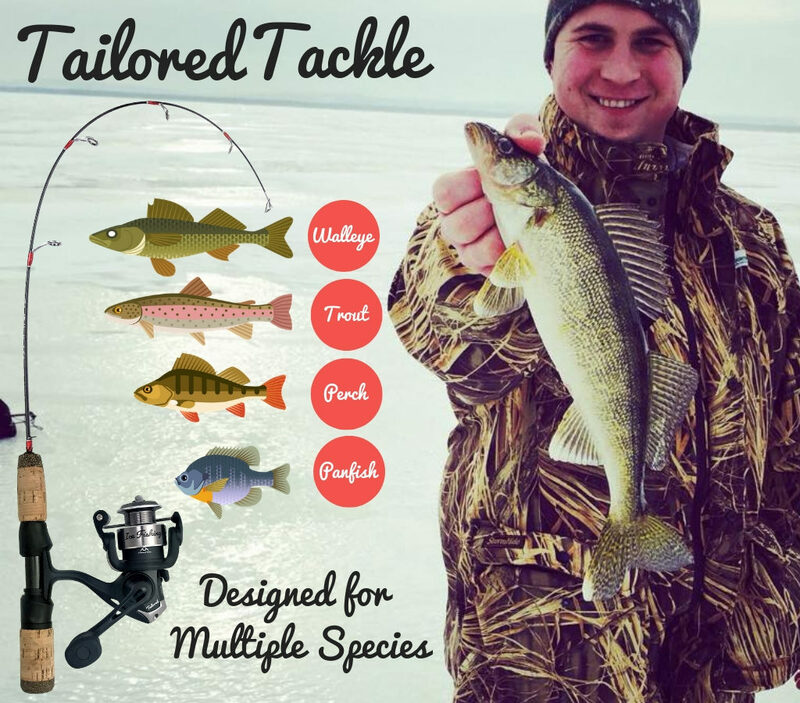 Perfect for Walleye, Perch, Trout and Panfish the Tailored Tackle Ice Fishing Rod gives you the flexibility of fishing everything below the ice. 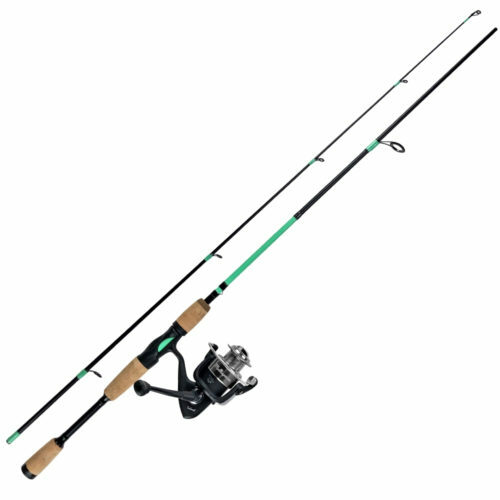 The Multispecies Ice Rod & Reel is designed for new ice anglers and weekend warriors to fish anything that’s biting on just ONE combo. 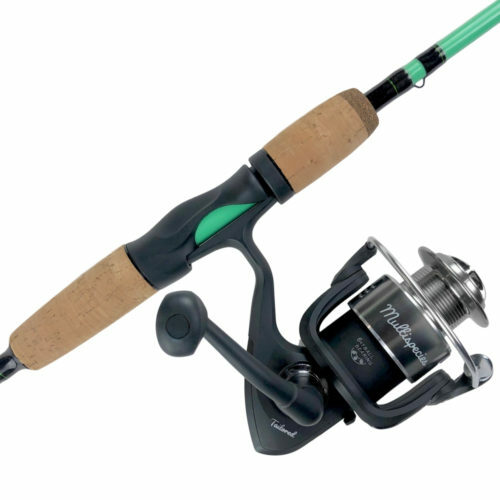 Crafted by fishing guides for high performance at an affordable price, our ice rod & reel is the perfect combo to get started ice fishing with the right gear. 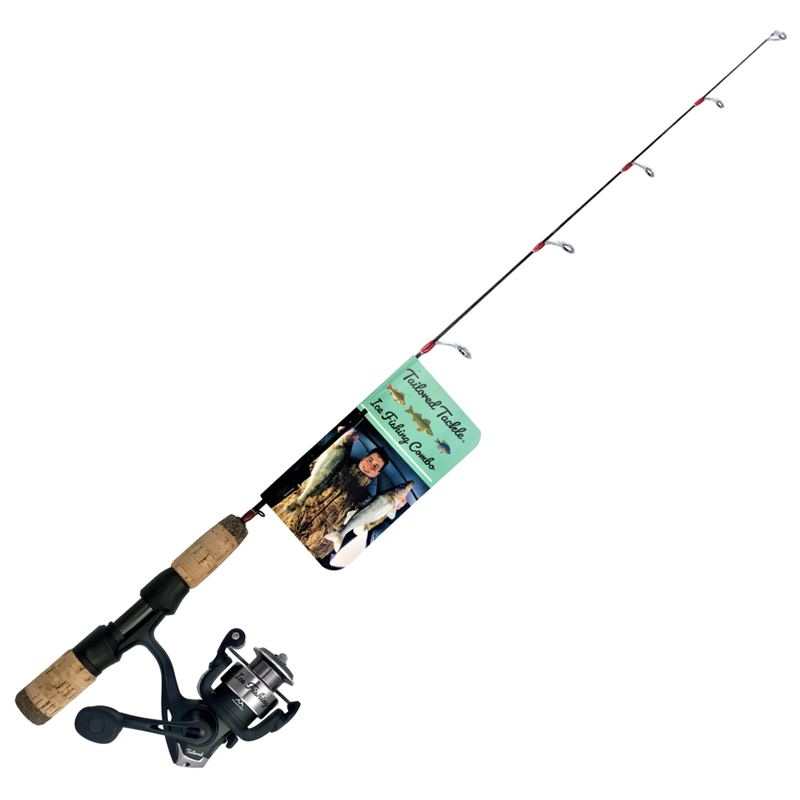 Jig lures and live bait for aggressive fish bites, or deadstick the rod with live bait under a float. 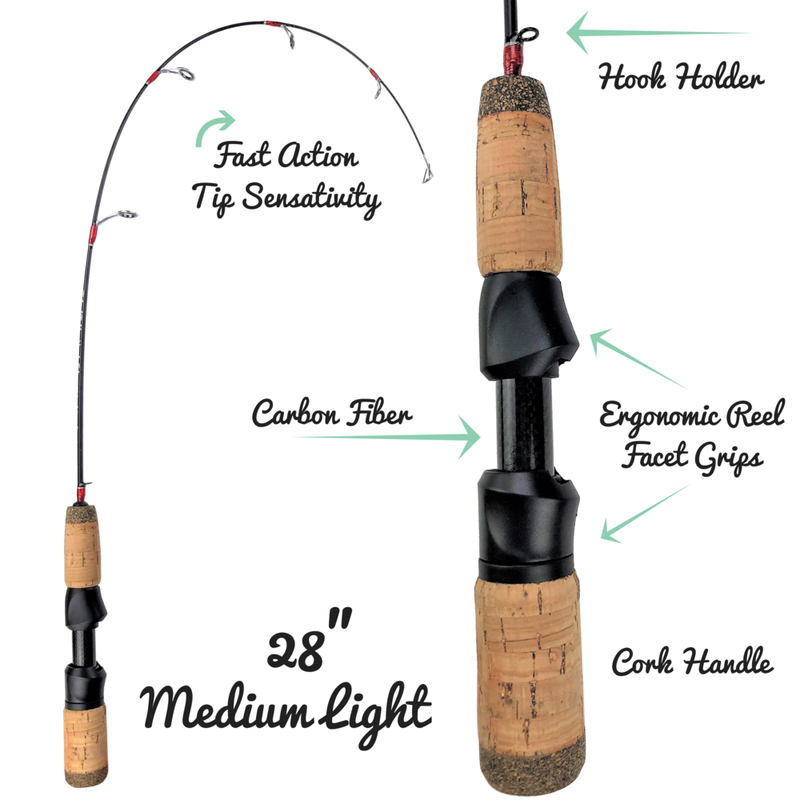 The 28″ medium light rod gives you ultimate sensitivity for subtle bites backed with a carbon fiber blank for backbone on big fish. 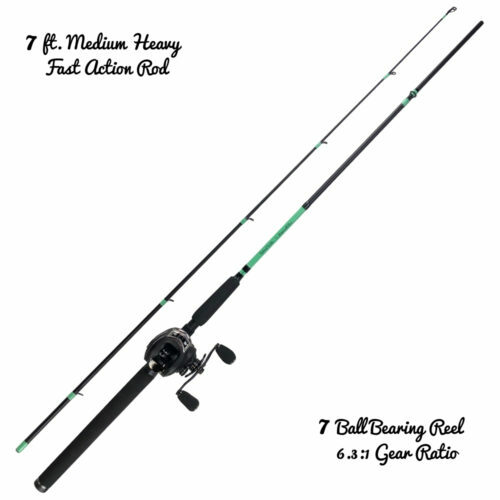 The medium build lets you fish in tight spots like ice shacks and shelters, while providing enough length for great rod action and sensitivity. 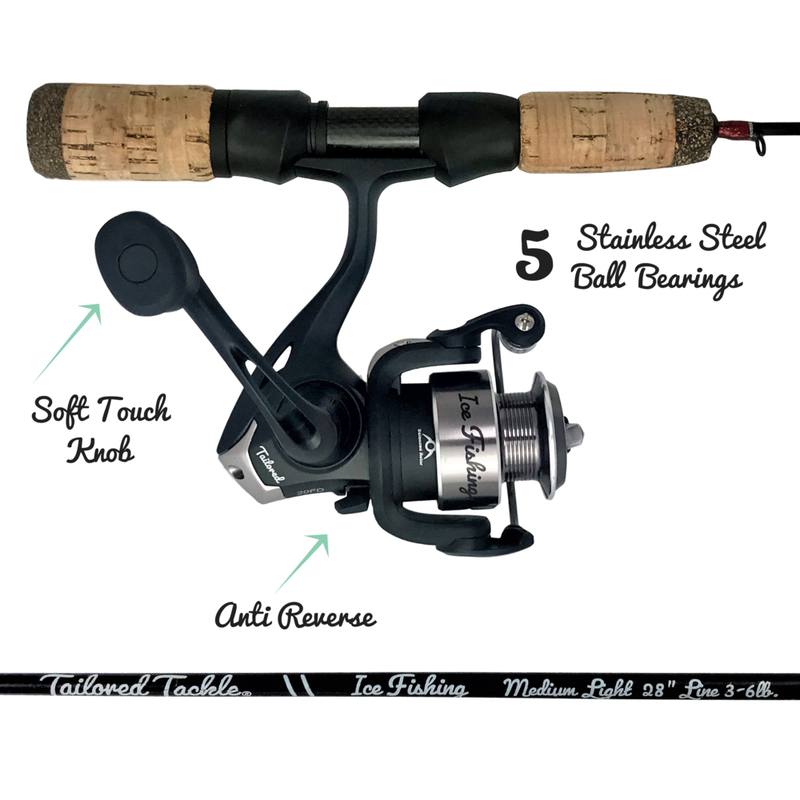 The ergonomic cork handle facets a medium sized ultra-smooth ice fishing reel sporting a 5 bb system with a Cold-Temp-Drag system. 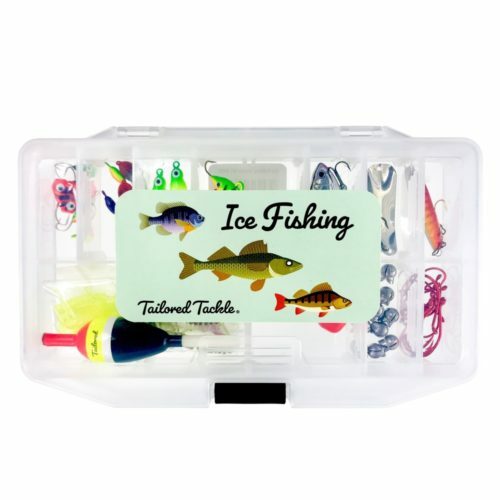 This Ice Fishing Pole works great with all the popular ice fishing jigs & lures in our Ice Fishing Kit. 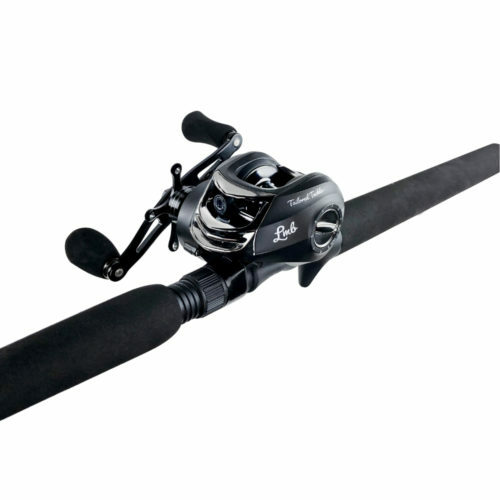 Mono Capacity: 2 Lb./200 Yds. 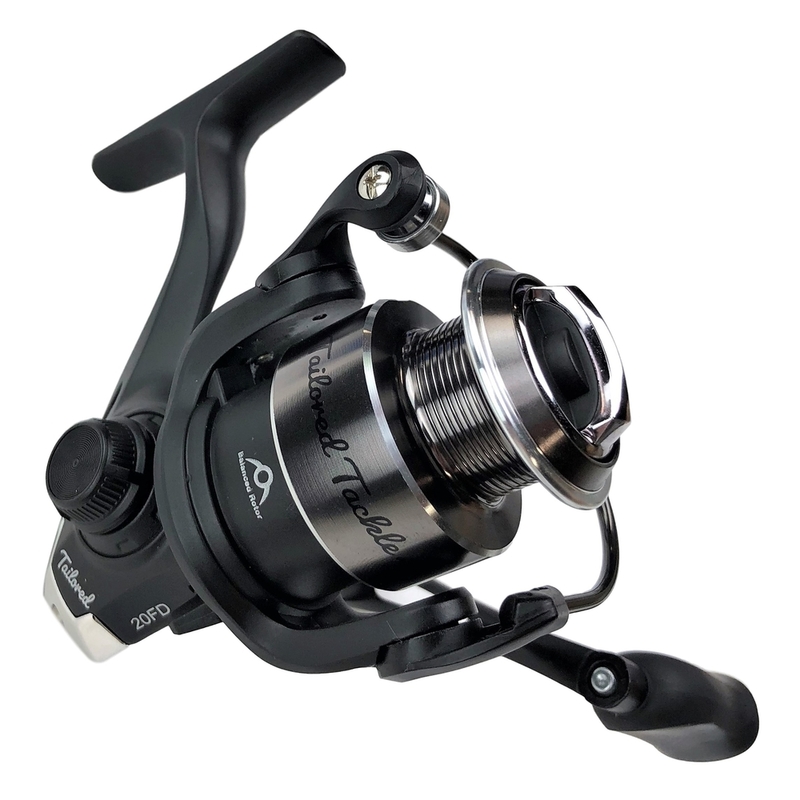 || 4 Lb./100 Yds. 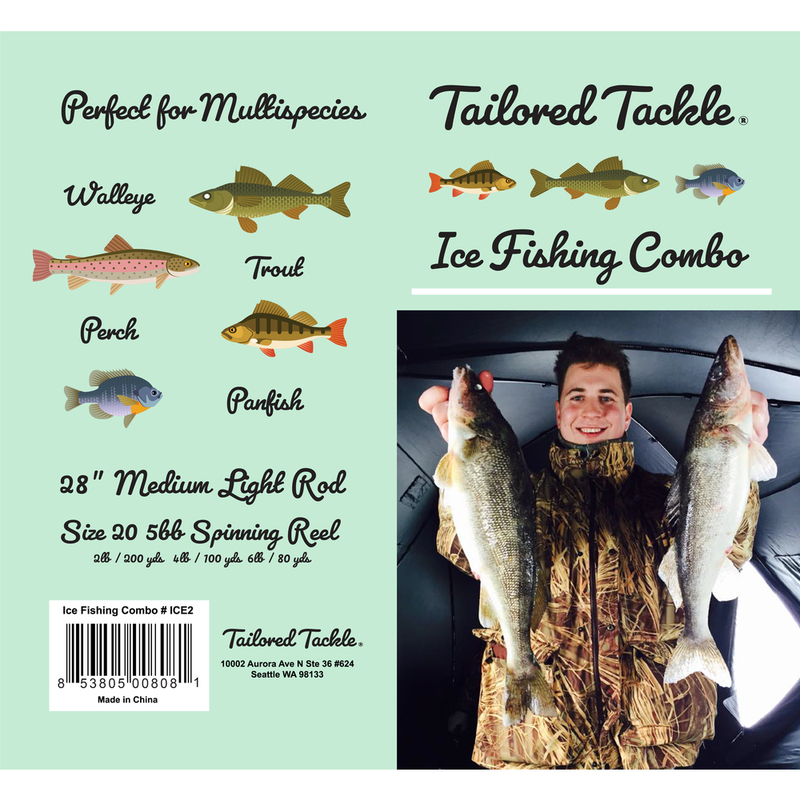 || 6 Lb./80 Yds.